I find it hard to imagine that there could be anyone reading this blog who has not yet heard of The Girl with the Dragon Tattoo. Like me, you have probably been bombarded with plot description, spoilers and general gushing. With so much information, it is hard to go into a book open minded and often times I am disappointed by the end of such an anticipated book—they never seem to live up their expectations. My fears turned out to be unfounded. It turned out that all the hype was deserved. I came thisclose to adding this book to my Best of 2009 list. 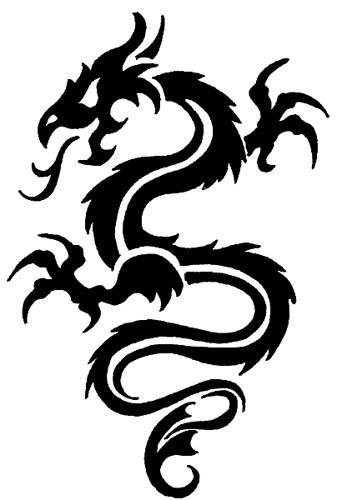 The Girl with the Dragon Tattoo is, simply put, a mystery novel. Mikael Blomkvist is a journalist with a tarnished reputation. The book opens with his trial for slander, brought on by an industrial magnate, Hans Erik Wennerstrom. I would estimate that this portion of the book took up about fifty pages, and although dry and technically verbose, I was still somehow drawn into the novel. And then it got good. Blomkvist is then invited the estate of Henrik Vanger. Vanger is an elderly gentleman who has a problematic family which revolves around the disappearance of his sixteen-year-old niece, Harriet Vanger, some thirty years prior. Vanger is convinced Harriet is dead and although his research into the case is methodical, he has yet to come up with a suspect or scenario as to how Harriet was killed. Therefore, Vanger contacts Blomkvist in order for him to investigate Harriet’s disappearance and hopefully solve the mystery of her demise. 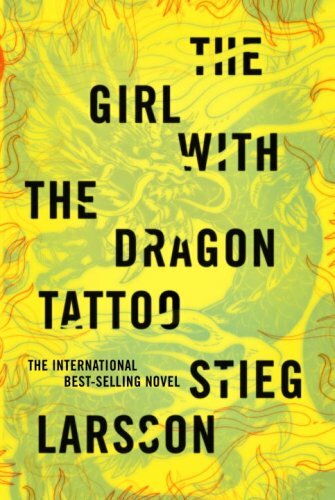 The Girl with the Dragon Tattoo continues on with the type of twists and turns that are difficult to pull off. Some of the circumstances surrounding Harriet’s disappearance and the Vanger family in general could, in retrospect, seem too ludicrous to be taken seriously. Again, this is where Larsson proved his capabilities, because no matter what curveball was thrown my way, I accepted it without question. I don’t read many mysteries, but sometimes in a book look this, it is too easy to point out fault with plot—either it’s too unbelievable or too predictable. I think Larsson was able to walk that fine line without straying too far in either direction. One other slight issue—I didn’t like how the book ended with more Hans Erik Wennerstrom. I just didn’t find him or his fraudulent lifestyle to be that interesting. I think the book could have been ended more swiftly with the reader more focused on Harriet and the Vanger family. Other than that, this book was superb. I don’t feel like literary fiction mixed in with a mystery is something that is prevalent enough. Which is why I am pleased that there are two more books in this series. I already have The Girl Who Played with Fire and I plan on buying The Girl Who Kicked the Hornets Nest when it comes out in a few months, so I look forward to reading both of those—hopefully sometime soon!! Happy Sunday everyone! This week has been kind of hectic with getting ready for the holidays and everything. I managed to finish The Crowning Glory of Calla Lily Ponder, by Rebecca Wellsm early in the week so that I could start in on Seriespalooza!! I managed to read The Dead of Night, by John Marsden and New Moon, by Stephenie Meyer. I started The Girl with the Dragon Tattoo, by Stieg Larsson but won’t be able to finish it by today. I am so excited that I finally had an excuse to get to it! Anyway, for those of you who aren’t familiar with Michelle of Galleysmith, Seriespalooza was her brainchild. The idea was to spend this week reading only books from series. A lot of times other obligations get in the way, so it was nice to be able to put aside a week to read books that I was looking forward to so much. I saw Michelle post somewhere that Seiespalooza will hopefully become bi-annual. I hope that is the case because I will definitely participate again! This coming week should be interesting, as I am going on vacation to sunny Florida. Now, I don’t know about you, put I always plan to read an excessive amount during vacation, but then my plans fall flat and I end reading hardly at all. I am really looking forward to laying by the pool and reading all day though, so hopefully it comes to fruition. Regardless, I probably won’t be around much after Tuesday, so I hope everyone has a wonderful Christmas and I will see you all next week! My office calendar has been getting full recently. And the majority of the events are book blog related. I am sure my boss thinks I am completely insane. Today I went and added yet another event to my calendar–SeriesPalooza, courtesy of Michelle at GalleySmith. Michelle’s idea was that maybe some of us don’t get the time to read on in series because we have too many obligations, and in my case, she would be right! I have quite a few series I either want to start or that I have read the first book for and just haven’t had a chance to finish. So for one week, December 14-20, 2009, the idea is to read nothing but books in series. For more information, check here. The fun part will be just taking an entire week to read only books that I want to read!! I can’t wait–will you be joining in the fun? !